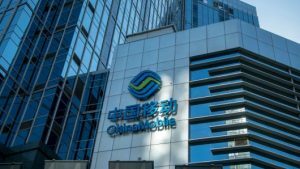 The government of the U.S. moved to block telecommunications company China Mobile from offering its services to the telecommunications market in the U.S. recommending the application it submitted by rejected due to the firm posing a risk to national security. The move by the White House administration comes amidst growing frictions in trade between Beijing and Washington. The U.S. will impose tariffs on goods from China worth more than $34 billion starting July 6, and Beijing likely will respond with its own tariffs on U.S. products. The National Telecommunications and Information Administration or NTIA said through a prepared statement on its website that the FCC or Federal Communications Commission should deny the 2011 application by the Chinese firm that is state-owned to offer its telecommunications services between the U.S. and other nations. China Mobile is the largest telecom carrier in the world with over 899 million subscribers. It did not respond to requests for comment. However, China’s foreign ministry spokesperson responded to a question about the company during a briefing and said that China urged the relevant side in the U.S. to end zero sum games and Cold War thinking. China is always encouraging its companies to carry out operations in accordance with rules of the market and respect laws in all the countries in which they operate said the spokesperson adding that the U.S. should end its unreasonable pressure on companies based in China. Another firm based in China that has been focused on by White House officials is ZTE Corp. The No. 2 maker of telecommunications equipment in China had to cease its major operations last April after the U.S. placed a supplier ban on the company saying it had broken its agreement to discipline its executives that had conspired to evade sanctions by the U.S. on North Korea and Iran. ZTE is now getting that ban lifted and announced recently its new board of directors, but its deal to settle the ban with the U.S. faces opposition from some Washington lawmakers. While ZTE was hit hard with the supplier ban, as close to a third of all components its uses are from suppliers in the U.S., China Mobile, says one analyst, will not be hurt that much since most of the oncomes it generates is from China.